From a public-discussion standpoint, data mining has ceded the advanced analytics spotlight to more au courant components such as data science, predictive modeling and machine learning. But even in the shadows, data mining tasks are still a crucial part of the analytics process, which is taking center stage in more and more organizations that want to use data to light the way for their business units. To switch metaphors, data science and analytics applications "are the engines of the future," six Gartner analysts jointly wrote in the consulting company's "2017 Magic Quadrant for Data Science Platforms" report. They cited several reasons for the stronger focus on data science efforts, including increased computing power and wider availability of machine learning tools. In addition, they pointed to "an explosion of information" that gives data scientists stockpiles of big data to mine and analyze. Gartner said organizations face some big challenges, including a lack of internal data science skills and long cycle times for building analytical models. To smooth the process, vendors of data science tools are expanding their capabilities for automating data preparation, model building and data mining tasks, according to the report. Collecting the right data to mine "is always the biggest challenge in analytics," says Rod Fontecilla, vice president and global lead of advanced data analytics at IT vendor Unisys. Fontecilla heads two analytics teams with a combined total of about 350 workers who analyze data for corporations and the federal government. "You need an infrastructure in place to be able to ingest all the data you need to do the analysis," he notes. This handbook digs deeply into managing data mining tasks and data science applications to help ensure that your big data analytics program is in the corporate spotlight for all the right reasons. 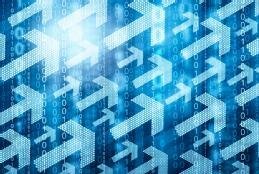 Predictive analytics applications can go off track quickly if data scientists and other analysts don't make good choices on the data sets they're looking to mine and analyze. Data mining may not be on the tip of people's tongues in these data science days, but advanced analytics applications won't get far without effective techniques for mining data.